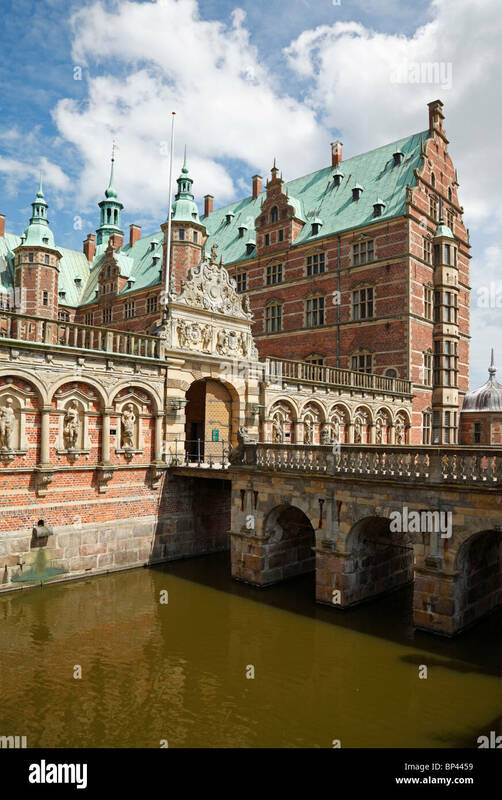 The entrance to the Frederiksborg Castle over the moat in Hillerød near Copenhagen, Denmark. 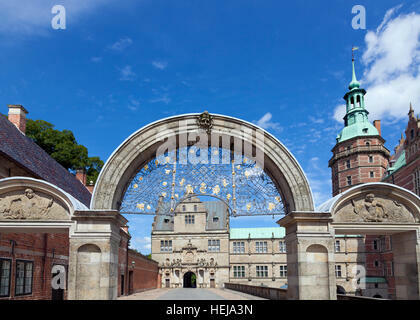 Frederiksborg Castle is located in the middle of Hillerød on three islands in the castle lake. 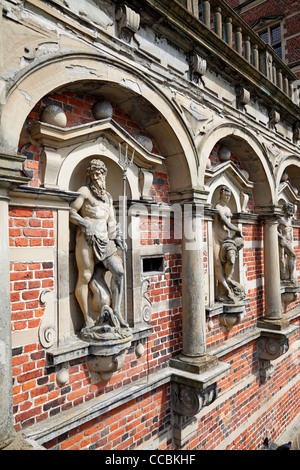 The oldest parts of the castle were built in 1560 by King Frederik II and the castle is named after him. The majority of the present castle was built between 1600-1620 by Frederik II's son, Christian IV in Dutch Renaissance style with sweeping gables, sandstone decorations and copper-covered roofs and spires. The castle burnt in 1859 but was rebuilt from 1860-84 with financial support from brewer J. C. Jacobsen and later by the Carlsberg Foundation.